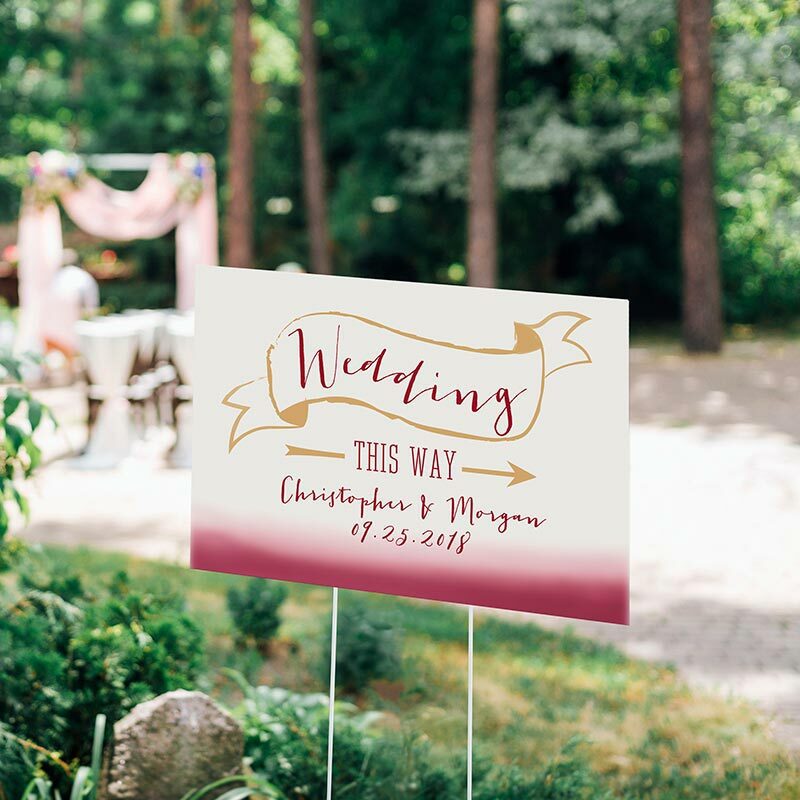 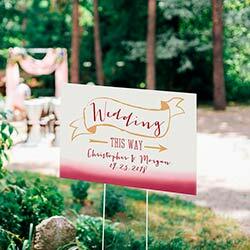 In two different styles, a Kate Aspen Vineyard Personalized Directional Wedding Sign is perfect for leading guests into your beautiful vineyard wedding! 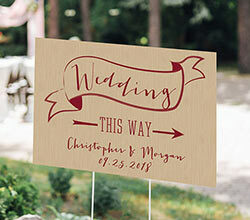 The sign is 18"w x 12"h, and attaches to the ground using an included wire stand. 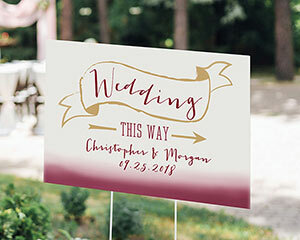 In a simple gold and wine or white, gold, and wine style, your names and event date are displayed across two lines of personalized text on each sign!